Have you run out of gift ideas? After a lifetime of shopping for gifts for family, friends and coworkers it is understandable if you’ve “hit the wall” with regard to finding special gifts. Actually, that’ a good thing because it forces you to be creative. Instead of a sweater, you might give a gift certificate to a favorite restaurant or movie theater. Although appreciated, those are the kind of “one off” gifts that can be forgotten. 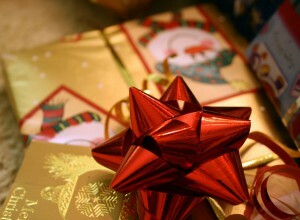 One gift that won’t be forgotten is a junk removal session from Junk King Albany. The benefits of that gift are going to last a long time! Who do you know that could benefit from a junk removal session handled by professional junk haulers? The time to call in Junk King is when there are no other options for getting rid of unwanted rubbish from around the house. Lifting and loading heavy pieces of furniture is one thing. But what about having a truck big enough to hold it all and knowing where to dispose of it. There are a lot of components to a junk removal that make it a challenge for someone to do on their own. That’s why setting up a session with Junk King makes sense. The moving crew, the truck and the disposal is all handled as part of the service. Junk King is going to do all the work from start to finish. The person you’re giving the junk removal gift to won’t have to limit what they’re throwing out because of weight or size. The Junk King crews have experience carrying out couches and pianos. Whatever is on that removal list won’t be a challenge for them. As for the disposal, Junk King has been practicing environmentally friendly disposal policies since they began collecting junk. Those polices involve diverting as much of what they collect away from a landfill and instead dropping them off at charities or recycling centers. That is like a “bonus” gift! This holiday, give the gift of a junk removal session from Junk King Albany to someone special and watch how it can help transform their home. This entry was posted in Albany Junk Removal and tagged holiday gift, Junk King, junk removal on November 30, 2018 by Junk King. Last updated November 30, 2018 .